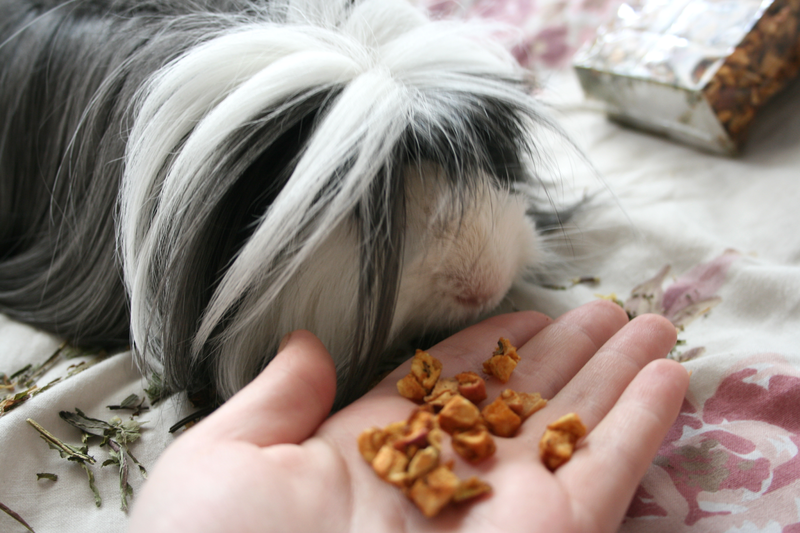 If you've been reading my blog for a while now you will know I have a Guinea Pig named Sheldon whom I just adore. So when I received a package from Petshop.co.uk with it addressed to Sheldon and Jordan I was a little too excited. Petshop.co.uk are a pet food supplier who will never let you run out of pet food ever again as they will send you out the food you request, as often as you like! Personally I think this is such a great idea because there really is nothing worse than realising last minute that your furry friend has eaten all it's food and you've to run out before the shops close to get some more. Let's not talk about how heavy everything does be aswell, but thanks to this great idea you never have to worry about any of that again! 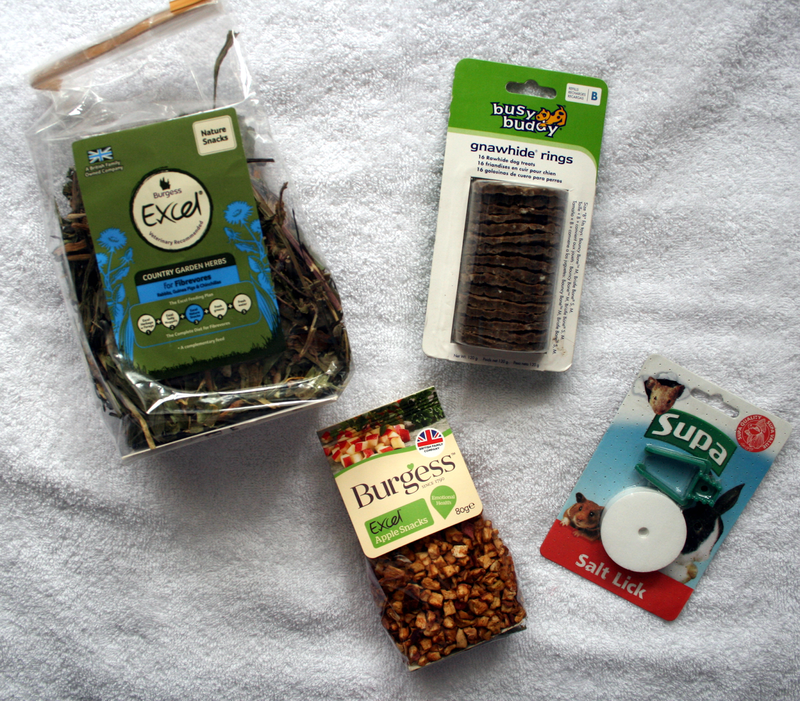 Burgess Excel Country Garden Herbs* As a guinea pig owner I have to say my favourite brand is Burgess for guinea pig food as I just find they have a huge variety and Sheldon enjoys their food, well most of it..I have the fussiest guinea pig. This however I knew he would love and I was totally right about it! He went through this stuff so fast and even if he heard me moving the bag or tipping off it by accident he would start whistling for some and wouldn't stop until I gave him some. Ridiculous right!? This was definitely his favourite treat the lovely people sent him. Busy Buddy Gnawhide Rings* This product confused me as it said it was for dogs but the ingredients didn't show any sign of meat in it so I wasn't sure if it was a mistake or guinea pigs can have it. However just to be on the safe side I did give it to our dog Bailey as they slotted into a toy bone he had! They're no longer around because he ate them and seemed to have really enjoyed playing with them and then having a chew! Burgess Excel Apple Snacks* Again something from Burgess which I was so excited about! Getting back to Sheldon being fussy I knew he would either love or hate these. He ate them when he figured out I wasn't going to give him anything else...well after awhile of him sulking because he probably wanted the Garden Herbs. Honestly though is anybody else's pet that fussy!? Who did adore these was our Pony! She had the last 3/4 of the bag that Sheldon left over and she enjoyed every one.. well handful. Finally in Sheldons little package was a Supa Salt Lick* which he adores. 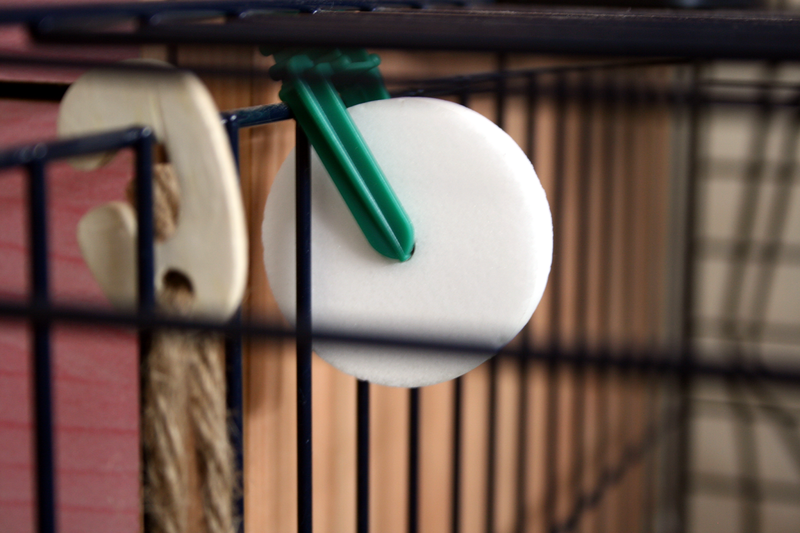 I have it attached to the side of his cage and I swear he licks it just so it will spin around. He also does it at 3am because he generally loves annoying me when I'm trying to sleep. Did I mention he has a cheeky attitude? As I'm typing this he's currently having great fun licking this! 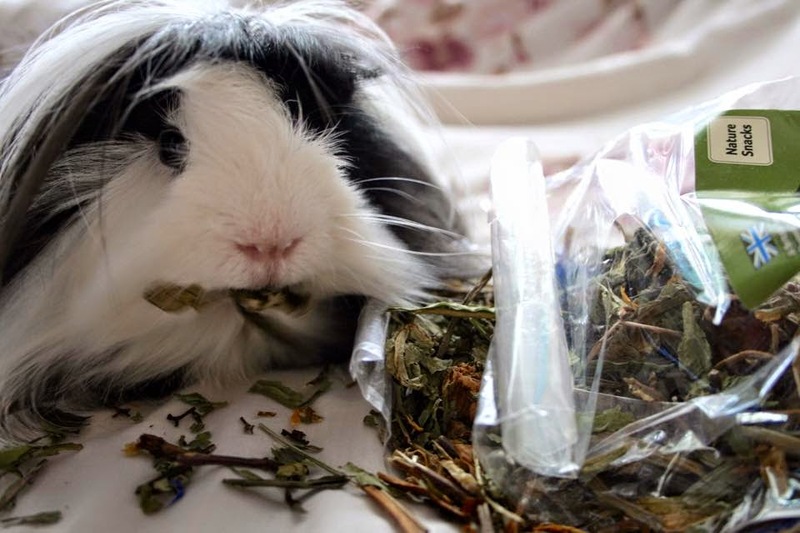 Aww I bet my Guinea pigs would live the herbs and salt lick. It's so cute that you can hear him licking it haha. 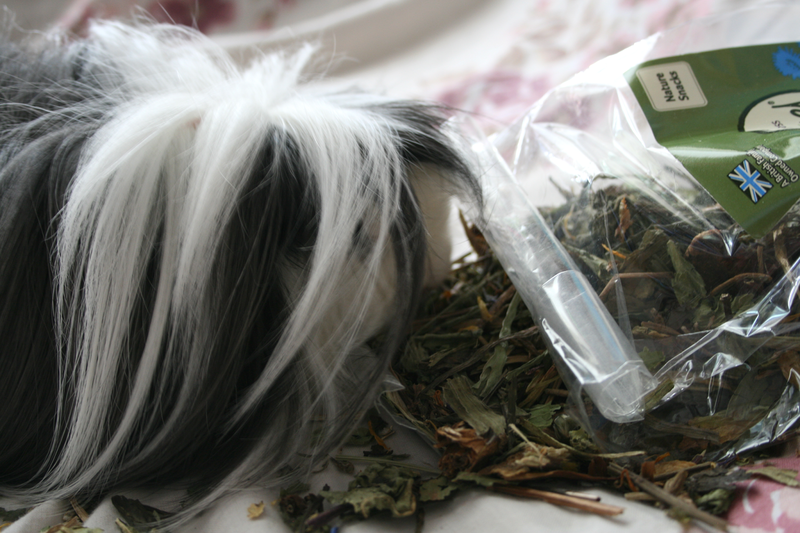 My Guinea pigs are due some new treats so I'll have to check them out! Sheldon is adorable by the way!